Emergency Dentists USA has done all the work for you when it comes to finding a great dentist in the Plano area. Emergency dental clinics with evening and weekend hours offer you the dental experts that you need when you are in pain and searching frantically for relief. Our 24-hour hotline provides you with access to a live operator who can help you choose the right dentist for your emergency. Can’t thank you guys enough for all of the help and support I received when I suffered from a severe toothache last month! Don’t know what I would have done if I hadn’t found this site. Finding a 24-hour emergency dentist in Plano, Texas is as simple as scrolling through our extensive listing of excellent dental offices. Choose an after hours dental clinic for an emergency that strikes in the evening or on the weekend, or select a walk-in dental clinic for those dental emergencies that just cannot wait for an appointment. Emergency Dentists USA provides a simple option for choosing the right Plano emergency dentist when you have a painful dental emergency. These emergency dentists are listed below with helpful information that includes phone number, address and hours of operation. Description Call our easy to use referral service now, to assure that you’ll be seeing a professional soon who has the competent skill to see you through your painful situation. Description: The staff at Texas Dental is proud to be open Sundays from 10AM- 4PM, during a day when many emergency dental incidents take place. Everything from abscessed teeth to the need for root canal therapy can be taken care of here by Dr. Lazaris and his crew, and you’ll be very satisfied at the way you are treated the entire time. Description: This facility provides evening weekday hours up through 8:00 pm and Saturday hours from 8:00 am to 2:30 pm for your immediate urgent dental matters. Offering dentistry services with payment plans at zero interest, along with acceptance of major credit cards, this place may very well be one you will want to visit if confronted with a painful toothache or some other dental predicament. Description: The staff of this clinic is more than happy to help you with your unexpected emergency dental need. You are encouraged to contact them if you are plagued with a dentistry ailment and explore low cost medical care for that aching tooth. Description: This clinic in Plano can be your immediate emergency oasis if you need attention for an extruded tooth, root canals, extractions, or broken teeth. One of the highlights of this office that many testimonials from patients have really spoken of is the advancements in dentistry: now you can be seen much quicker, and rid your self of pain. Now open on Saturdays, this is a great location for an urgent care dentist! Description: This clinic advertises that they accept emergency, same day patients at their clinic. Staying open until 6PM on Tuesdays, this is a prime area choice for an after hour dentist. Description: Head Dentist Johanna Bushey enjoys building relationships with patients that are trusting her to bring them oral health. Extractions, root canals, and help for broken or cracked teeth are just some of the services you’ll find here, as you locate the dentist you will want to use for the future. Emergency dental clinic visits are similar to regular dental visits. Gather your recent dental x-rays and examinations to bring with you to your Plano emergency dentist. Arrive at least 15 minutes prior to your dental appointment so you can fill out any necessary paperwork. Most emergency dentists accept a variety of payment forms and some may accept your form of insurance. Be sure to check with your office before going to your appointment. Bring a current list of your medications to the visit and alert staff to any possible medical allergies that you have. Let the office staff know if you are frightened during your dental visit. They are trained to help you to feel as comfortable as possible while you receive your dental treatment. There are a variety of common 24-hour dental emergencies that might send you out frantically searching for a dentist no matter what the time of day or night. Some of these common emergencies include teeth that are chipped or broken, abscesses, soft tissue injuries, and broken braces or wires. Each dental emergency is unique and you should see an emergency dentist in the Plano area for any of the dental emergencies listed below. 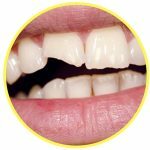 A chipped or broken tooth can be an embarrassing dental emergency, especially if the chip occurs in the front teeth. Rinse your mouth carefully to remove any pieces remaining in the mouth. Try to find the chip or broken tooth if possible, and place it in a small container of milk to bring to your emergency dentist. Use a cold compress on the outside of your mouth, cheeks, or lips to reduce swelling and pain. Apply a moistened piece of gauze to any area of the mouth that is bleeding. The most common objects caught in teeth are bits of food, bone, or even wood from a toothpick. If you have an object caught between your teeth, rinse your mouth thoroughly to remove the debris. Using floss, try to gently floss the area between the teeth to remove the object. Never use a pin or other sharp tool to pry between the teeth to remove the object. If the accident has caused injury to your head or any part of your body, you should visit your local hospital as soon as possible to be examined by an emergency physician. Tooth trauma caused by an accident often involves a head injury that could be dangerous to your overall health. Visit your emergency dentist as soon as possible to have the tooth repaired once you are sure that you have no other bodily injuries. You might need an emergency tooth extraction if you have a tooth that has decayed to the point where it is beyond repair. Waiting to have the tooth extracted can cause you to experience more pain and require more treatment, so it is always important to visit your Plano emergency dentist as soon as possible for the extraction. Your dentist will perform an examination and x-ray to determine the best way to begin the emergency tooth extraction. 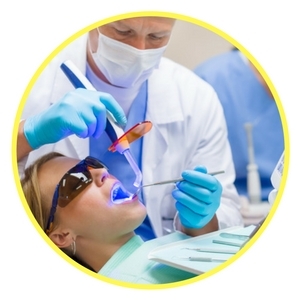 He or she will choose a local or general anesthetic to ensure that your experience is not painful. A special tool is required to pull the tooth from the socket, and the gum is sometimes sewn closed following the extraction. These stitches dissolve over time. The gum is then packed with gauze to control bleeding. Full healing usually occurs within one to two weeks of the procedure. Follow all of your dentist’s instructions carefully and avoid smoking or drinking alcohol until you are fully healed from the procedure. When a painful dental emergency occurs, you might be tempted to head to the nearest hospital emergency room. This is an excellent choice if the dental emergency is caused by an accident, a sports injury, or a fall. If your dental emergency does not affect other parts of your body, going to the emergency room might be a waste of time and money. Most emergency rooms are not equipped to repair teeth, and you will spend less money when you go straight to an emergency dentist rather than paying for an ER visit along with a dental visit. Your dentist is well-equipped to repair teeth, treat a painful toothache or abscess, fix broken or knocked out teeth, and even repair braces that have become loose or have broken wires. If you are faced with a dental emergency and cannot seem to locate a dentist near you that fits your schedule, just give our hotline a call and let our staff find the perfect emergency dentist for you! When you choose a new dentist, it is important to ensure that he or she is credentialed and licensed in the state of Texas. You can use the American Dental Association website located here: www.ada.org to check on any dentist’s licensing. 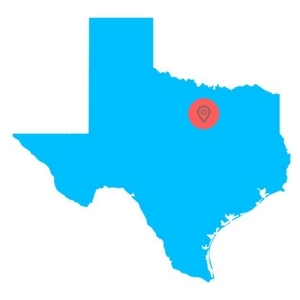 You can also use the Texas Dental Association website located here: www.tda.org to gather information regarding your new Plano emergency dentist. Searching for a 24 hour emergency dentist in Odessa, TX?